beauty & the beast. — halthegal. in the research process, i took the opportunity to collect some rare illustrated editions and all the other lovely versions i could get my hands (paws) on... and somehow my first beast sketches looked like a tony diterlizzi illustration… fine by me! i ended up of course just using the beast’s shadow…. 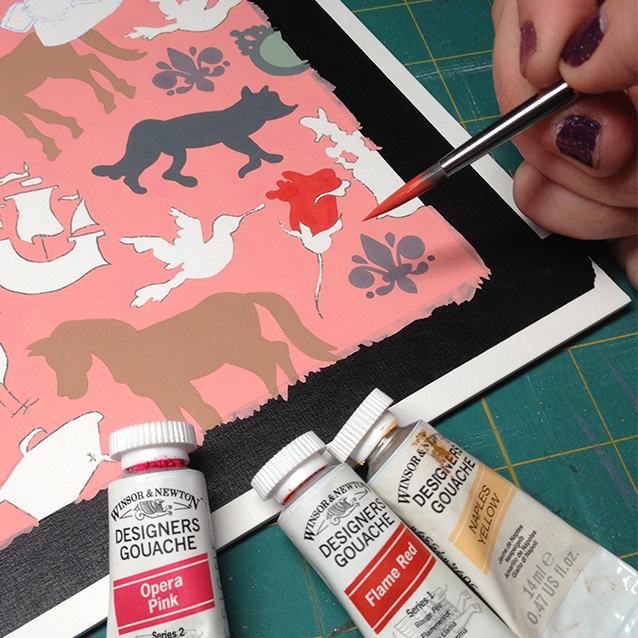 definitely fell in love with the colour red gouache i mixed for the roses in the background!! i mixed winsor & newton opera pink, flame red, and the essential naples yellow. 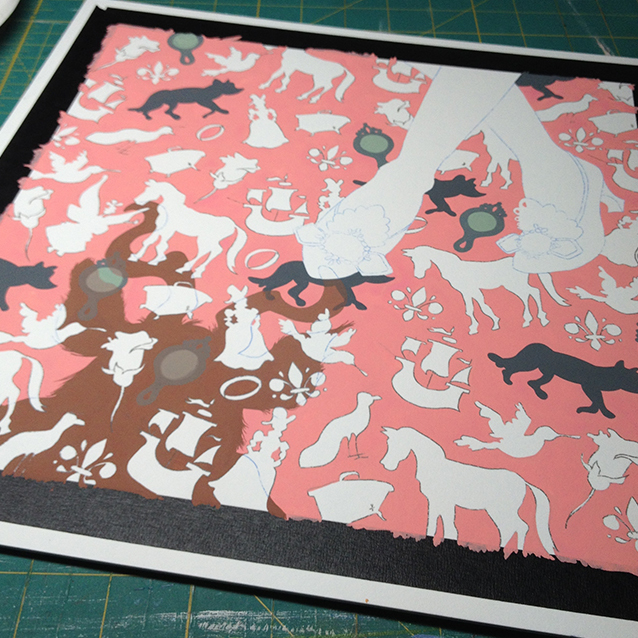 background done… time to paint the shoes!